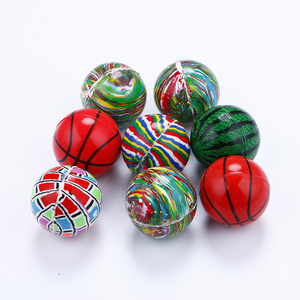 Dongyang City Yaxing Toy Co., Ltd.
* Ball Size: 27mm, 32mm, 35mm, 38mm, 45mm, 49mm, 54mm, 60mm. * Certificate: ASTM, EN71, Phthalates free, lead free, PAHs. * Samples time: 2 working days if we have stock. Kuansheng Toys (Shenzhen) Co., Ltd.
Dongyang Rebound Sport Products Co., Ltd.
----specialized in pu stress ball,rubber ball, bouncing ball ,stress ball,foam ball,pu toy, anti stress toy,stress reliever ball,pu stress toy,antistress foam ball. Welcome your enquiry, and we will be glad to serve you at any time. Hope to establish long term and win-win business relationship with you in near future. Throw the crystal Ball in the air, catch it, and watch the glitter swirl around. When the glitter settles turn it upside down and watch the glitter twist around. 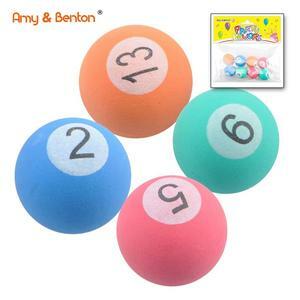 7.Color logo printing on inner ball or outside on the ball is available,and any shape of the floater inside the ball is ok.
Yiwu City Liangdian Toys Co., Ltd.
Yiwu Outong Toys Co., Ltd.
Alibaba.com offers 6,652 rubber bouncing ball products. About 67% of these are toy balls, 1% are gymnastics, and 1% are vending machines. 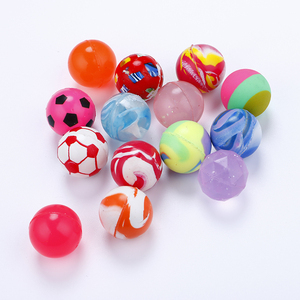 A wide variety of rubber bouncing ball options are available to you, such as skip ball, juggling ball, and stress ball. You can also choose from promotional toy, soft toy, and sports toy. As well as from free samples, paid samples. 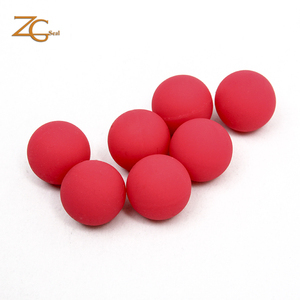 There are 6,596 rubber bouncing ball suppliers, mainly located in Asia. The top supplying countries are China (Mainland), Taiwan, and Hong Kong, which supply 97%, 1%, and 1% of rubber bouncing ball respectively. 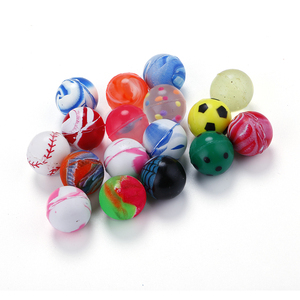 Rubber bouncing ball products are most popular in North America, Western Europe, and South America. You can ensure product safety by selecting from certified suppliers, including 760 with ISO9001, 721 with Other, and 192 with BSCI certification.